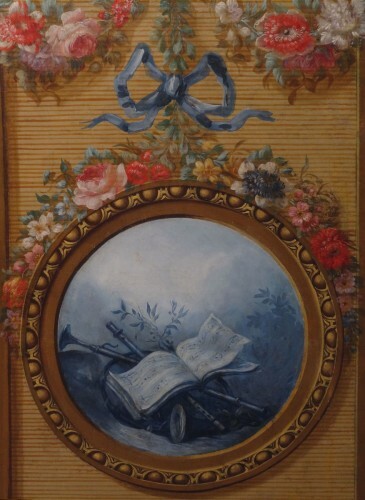 Rare and charming screen (painted canvas) on the theme of Love. 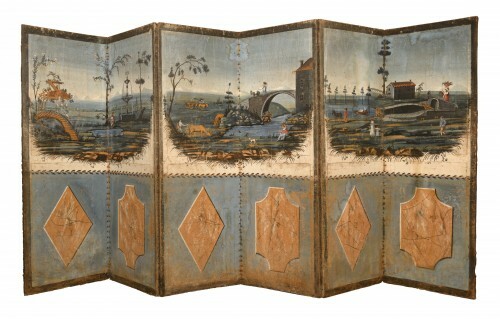 There are five "leaves" to this beautiful screen. 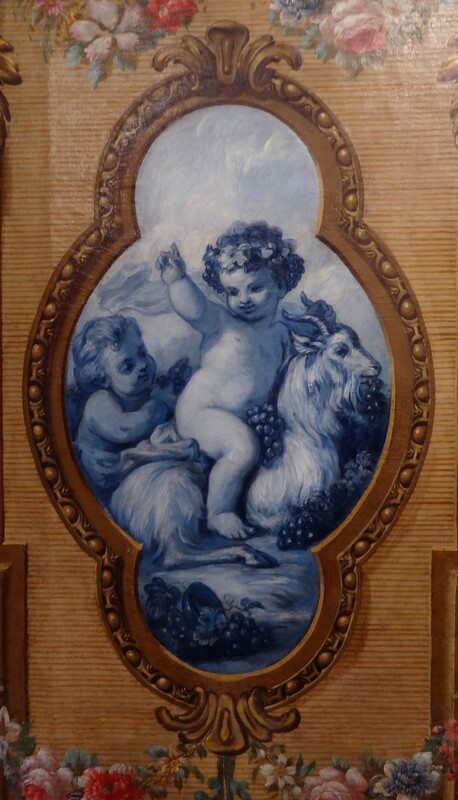 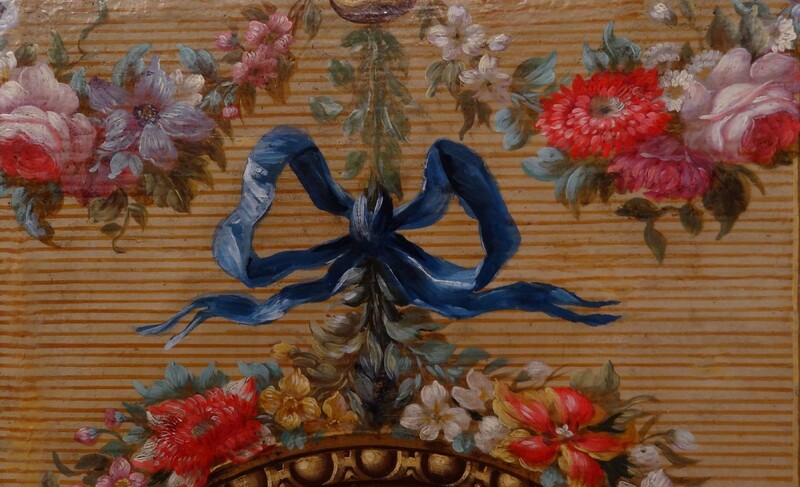 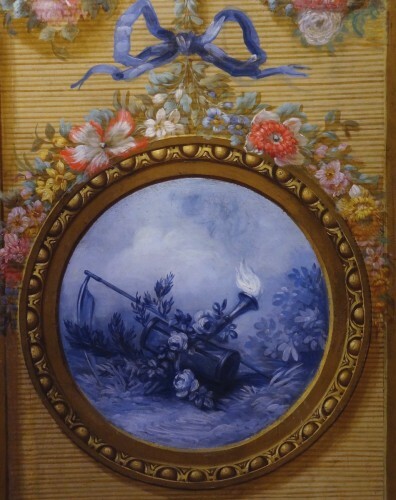 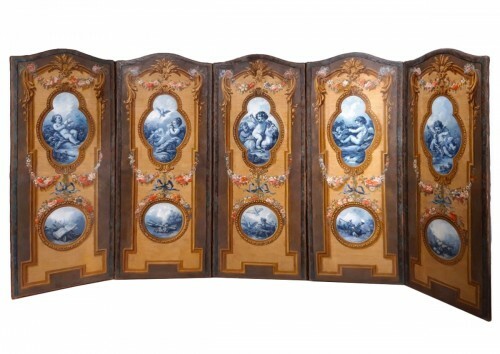 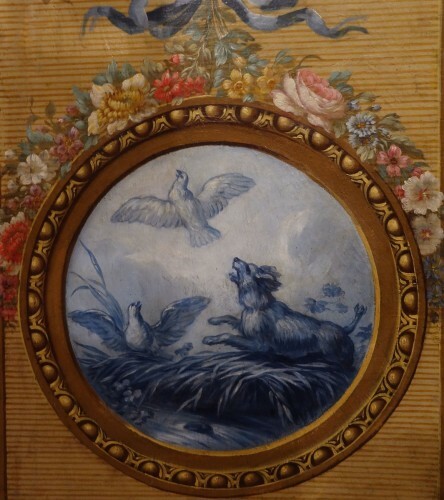 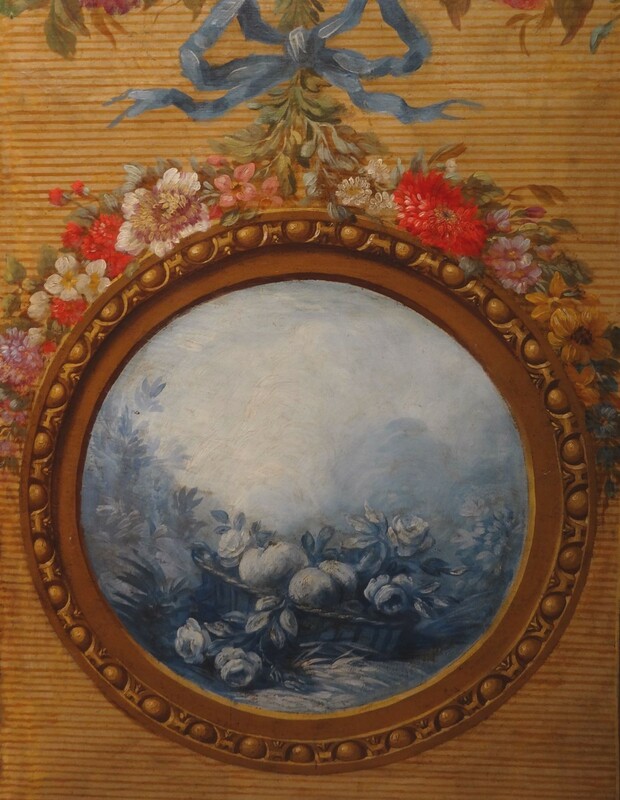 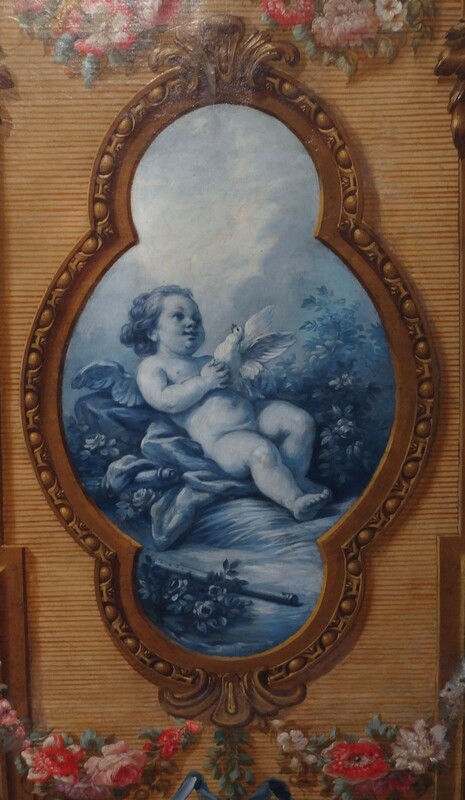 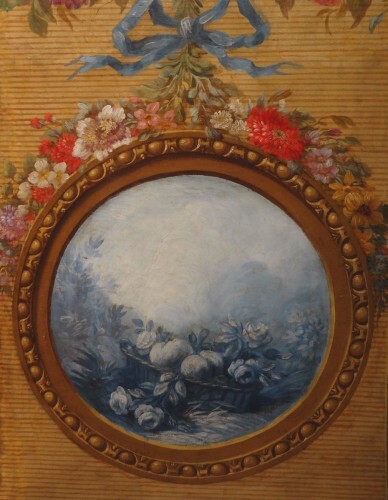 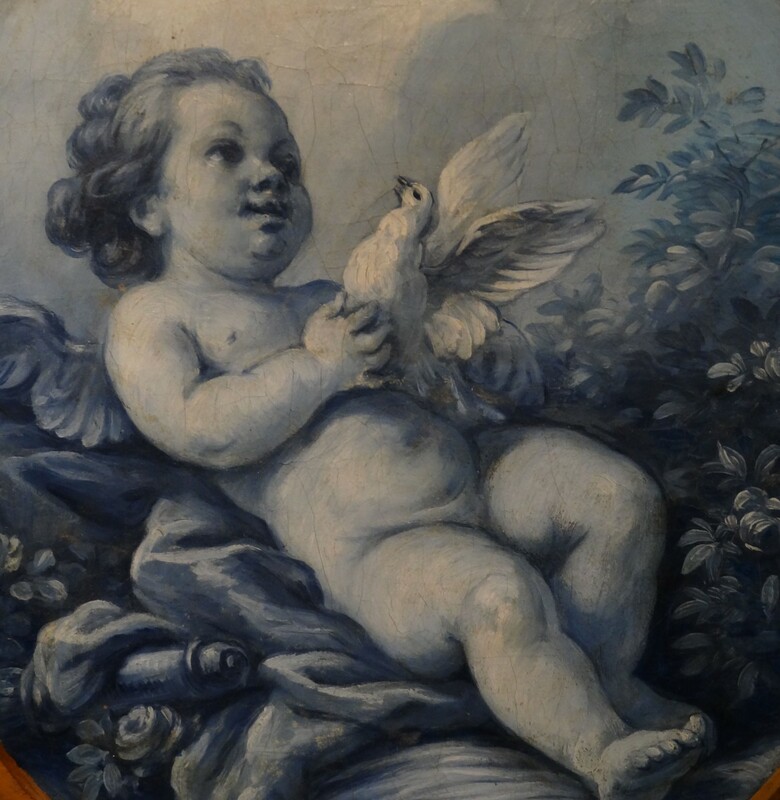 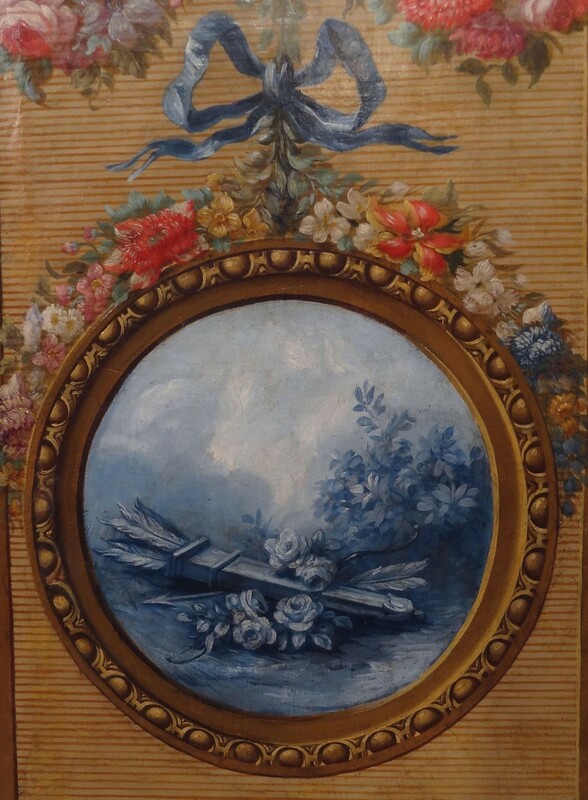 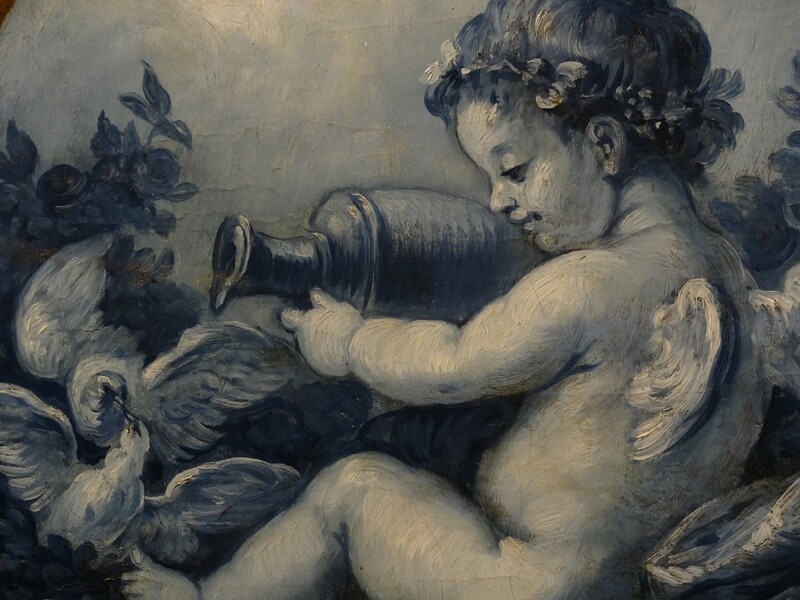 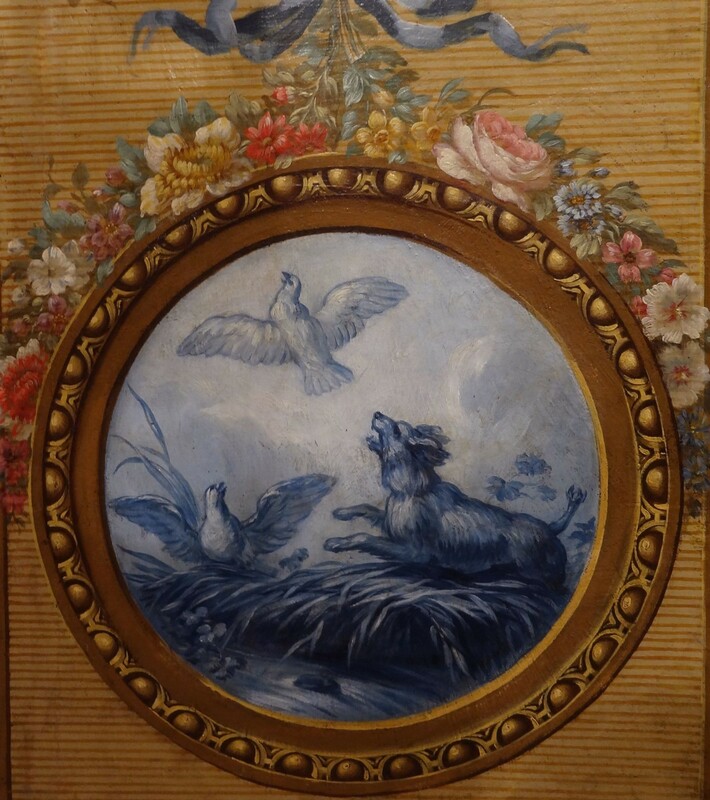 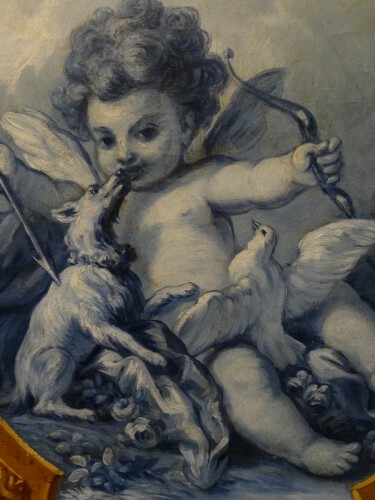 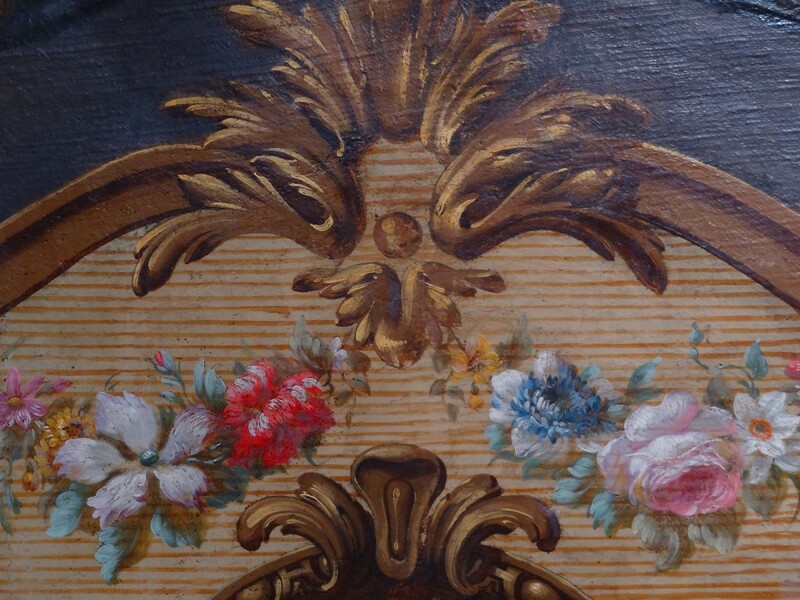 There is a beautiful polychrome decoration with allegories of Love in shades of pastel blue. A decor of garlands of flowers and ribboned knots elegantly decorates each panel. 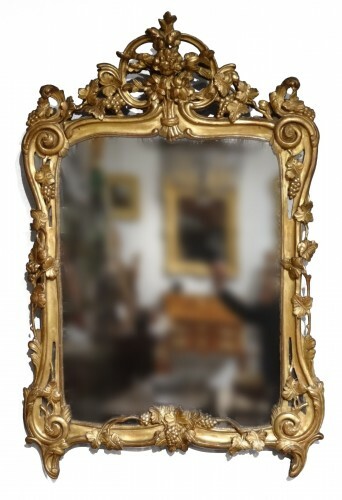 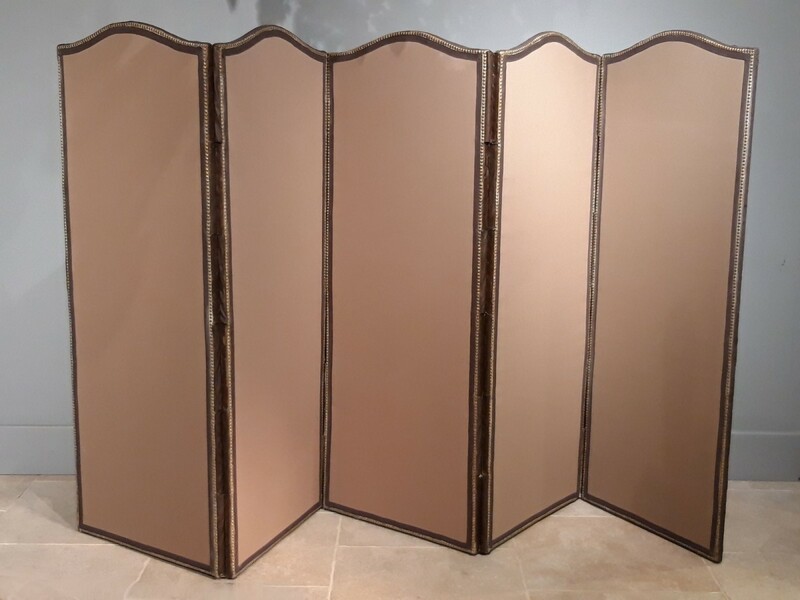 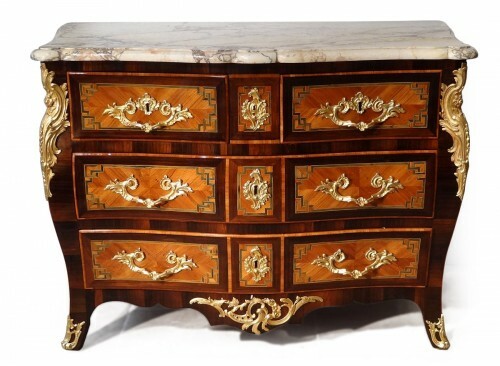 This large screen has retained a beautiful freshness of colors that contributes to its very decorative character.